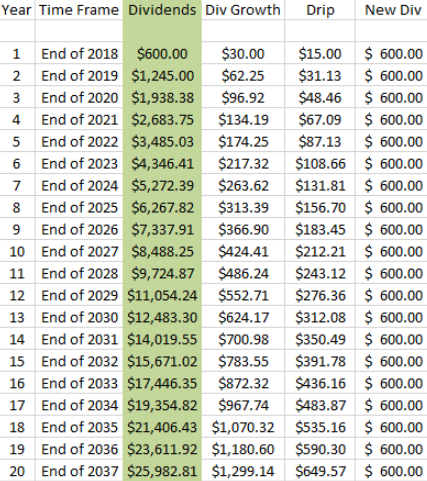 As stated in the IBP Business Plan, our “Income Target” is at least $5,000 in annual dividends within 7 years … and I’m thrilled to say we’re already well ahead of schedule. 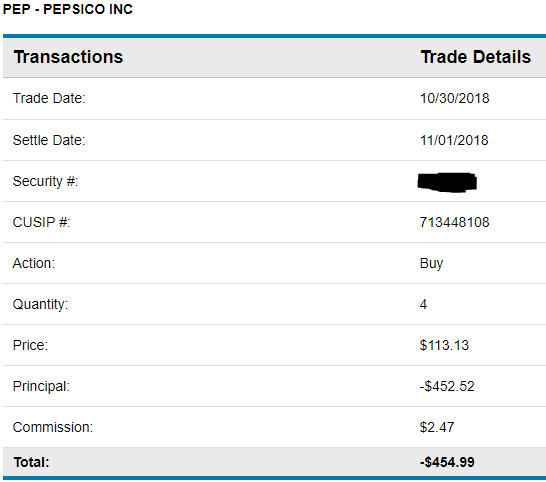 With our purchase of PepsiCo (PEP) on Tuesday, Oct. 30, the IBP passed the $600 mark in projected annual income, and there are still four more 2018 buys remaining for this real-money Dividend Growth Investing portfolio. As you can see, the limit order was filled in two separate transactions a few seconds apart, as happens sometimes. The total price — including the $4.95 commission, which was divided between the two orders — was $909.99. 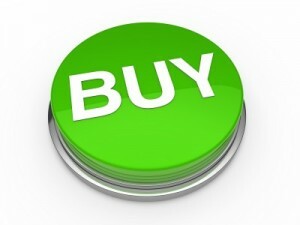 Together with our buy of Home Depot (HD) a couple of weeks ago, we kept our combined October purchases below $2,000, the amount of money Daily Trade Alert makes available monthly for the IBP. We first bought Pepsi on Feb. 27, and the portfolio now owns 17.2203 shares, making it our second-largest position both by market value and expected annual income. Cigarette-maker Altria (MO), the only other stock we have bought twice so far, ranks first in both categories. There are many great reasons to invest in Pepsi, and the company’s longstanding commitment to returning value to shareholders through dividends ranks way up there — especially for DGI practitioners. Because we completed our latest PEP purchase before the next ex-dividend date (expected to be about Nov. 30), the IBP should receive income on all 17.2203 shares on the next pay date (approximately Dec. 28). 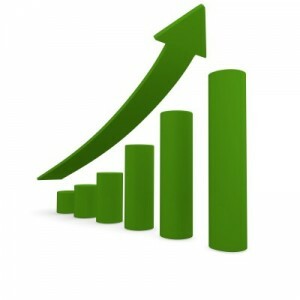 At the quarterly rate of .9275, that means $15.97 will flow into the portfolio. 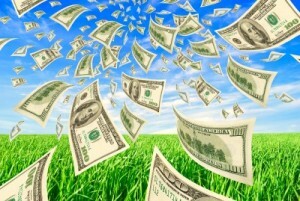 Per IBP rules, all income is reinvested. 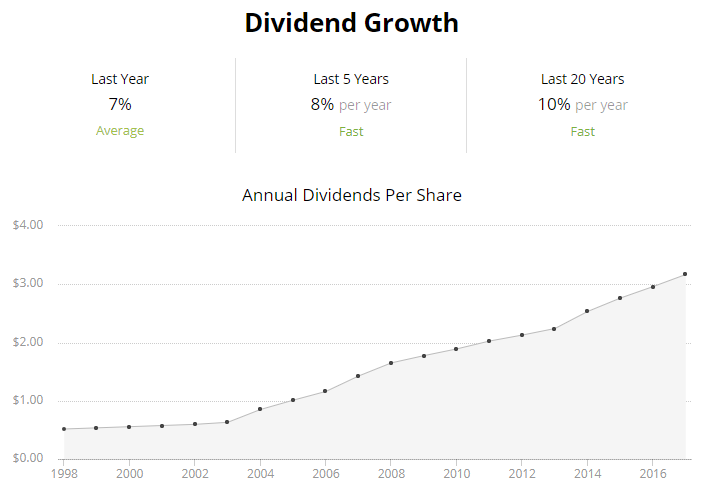 So if PEP is still trading at about $113, the December dividend will buy .1413 of a share. Then, three months later, the new share total of 17.3616 would generate $16.10 in dividends, which again would be reinvested. And it gets even better, as Pepsi almost certainly will raise its dividend by 5% to 15% again next year. The other 17 companies in the IBP benefit from a similar pattern, all of which helps explain why we chose the name we did for this endeavor. 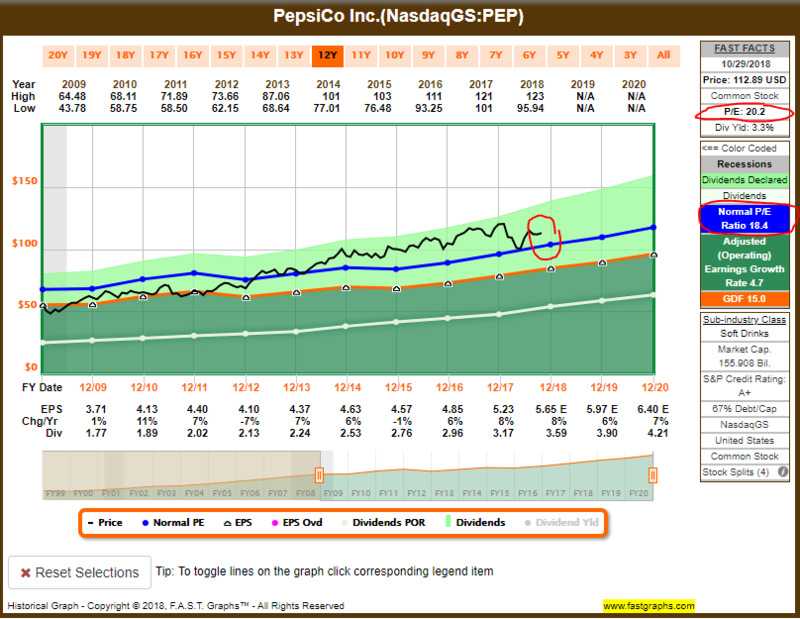 Pepsi stock is not a bargain-basement buy, but I think it is no worse than fairly valued. Given its status as a high-quality business with a 3.3% yield in a defensive sector, that works for me. Morningstar actually thinks PEP is undervalued by about 8%, and that’s pretty attractive for a well-managed, wide-moat company. 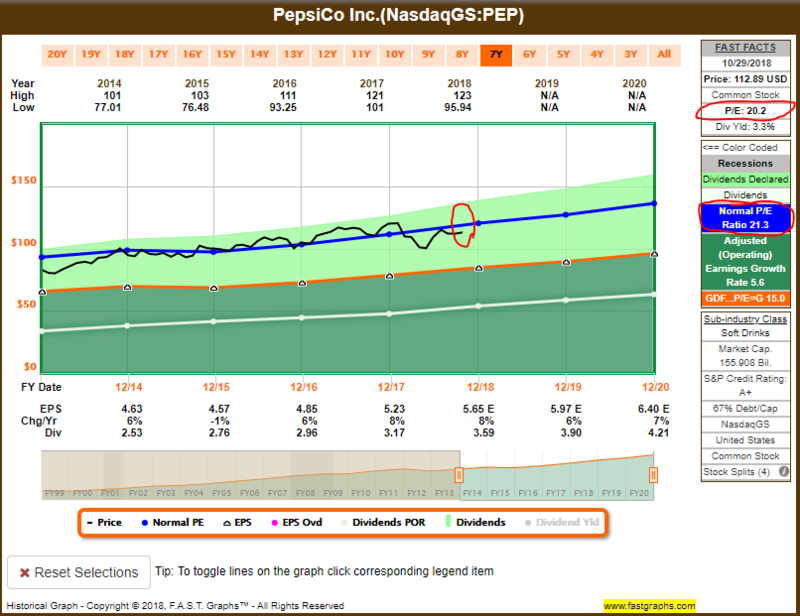 Value Line’s 1.07 “Relative P/E” ratio means its analysts think PEP is about fairly valued. They also give a 3- to 5-year target price range suggesting a possible upside of about 45%. CFRA is bullish; analyst Tuna Amobi considers PEP a “Strong Buy” with 2019 price target of $129. 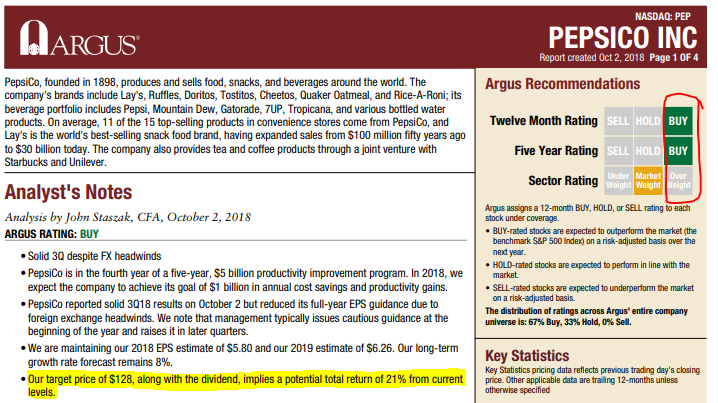 Argus is looking for similar price appreciation from Pepsi, which analyst John Staszak considers undervalued. Lastly, we’ll take a look at FAST Graphs, using three illustrations to show how the time frame one uses can influence determination of a company’s relative valuation. In the first graph, Pepsi appears to be slightly undervalued compared to its 5-year norm. Note how the end of the black price line sits below the blue “Normal P/E” line. When we make it a 10-year view, however, PEP looks a little overvalued. This time period includes the Great Recession, when the P/E ratio of almost every company in the world was lower. 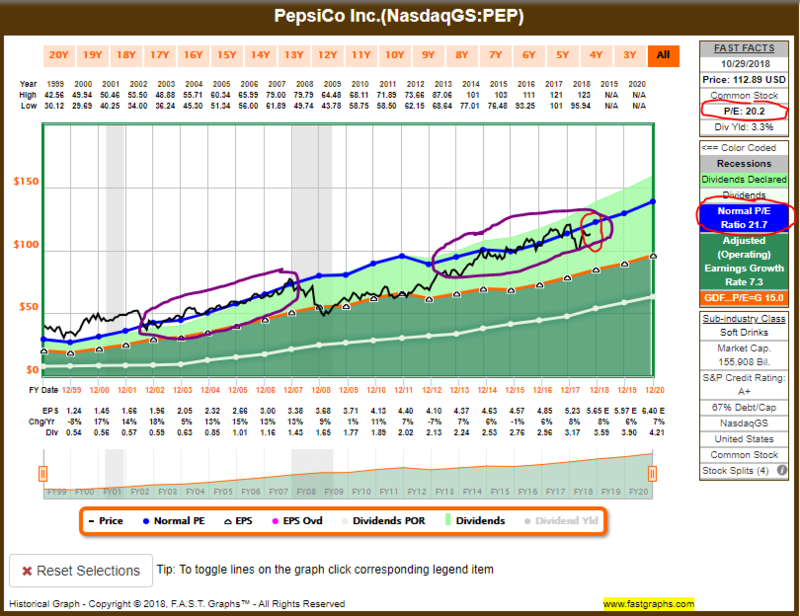 If we stretch the time line to 20 years, Pepsi again seems somewhat undervalued. That’s the case even though this period includes the last two recessions. During long post-recessionary times — 2002 to 2007 and 2012 to present — notice how closely Pepsi’s price corresponds to its normal P/E ratio (purple circled areas). 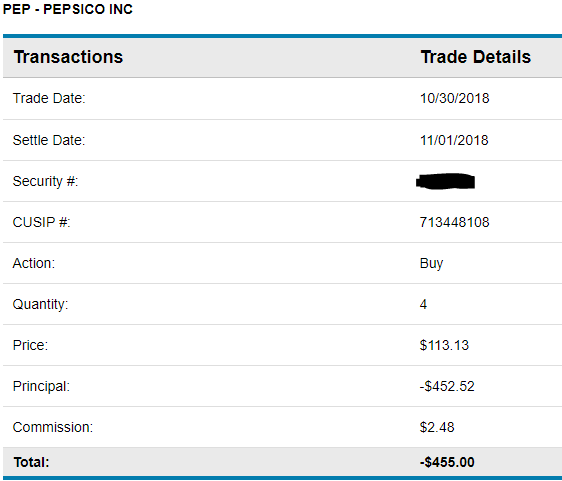 Although I could have selected companies with more attractive P/E ratios, I like that Pepsi is not especially expensive, has grown dividends for nearly a half-century, and is the definition of a name-brand, blue-chip investment. 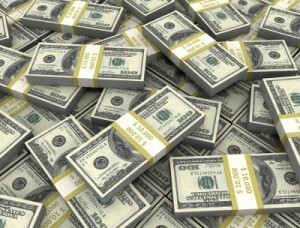 As such, I am very comfortable with PEP now being one of the Income Builder Portfolio’s largest positions. Pepsi’s reliable dividend growth and overall performance should help the IBP meet — and likely exceed — its goals for years to come.